When I went to college many, many years ago, I had saved money from my paper route, cutting lawns and lots of other jobs including selling hot dogs and soda at Phillies games. All of that was enough to cover my first year of tuition at a private college in Philadelphia. 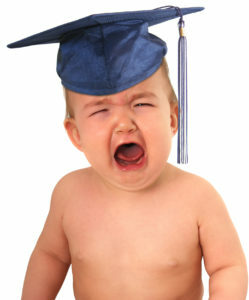 Recently I finished paying 8 years of private college tuition for my 2 boys. If they had worked 3 times as hard as I did, perhaps they would have been able to cover a quarter of the first semester. Tuition keeps rising and there is no end in sight. 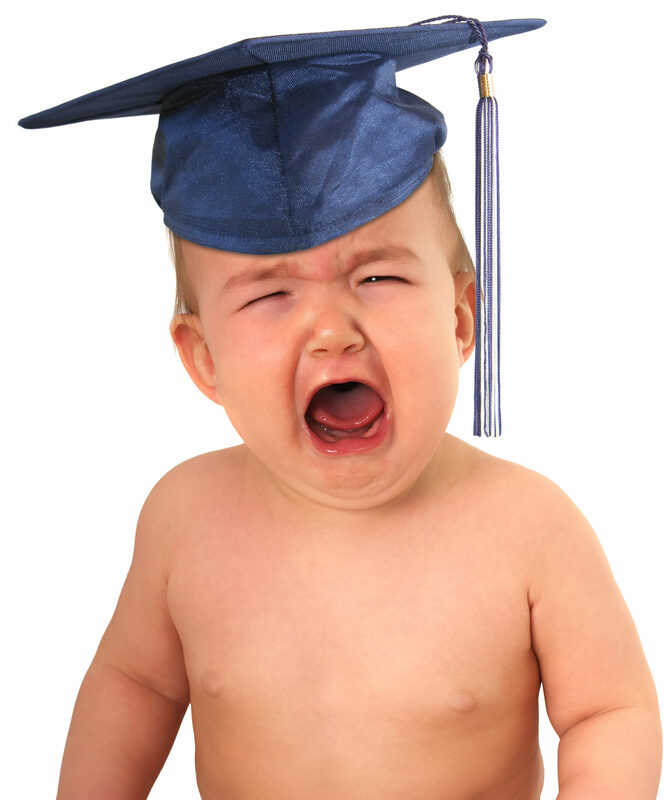 If private college tuition is now roughly $50,000 a year, what will it be in 18 years for your newborn? If you are the parent or grandparent of a newborn, you know planning for that huge expense starts now. But what is the best investment vehicle to help accomplish that goal? You can start a 529 plan. You can put money in an UGMA account or use any number of stock market vehicles as part of your financial strategy. I would like to suggest investment real estate may be a better way to accomplish your goal. Let me explain. Let’s say you put that $25,000 in a brokerage account. After 18 years, assuming an average annual return of 5%, you would have $60,000 for college. Alternatively you could use the $25,000 to buy a $100,000 home (20% down plus $5000 for closing costs). After 18 years, assuming average appreciation of 2%, you would have a home worth $142,800. Now if you used a 15 year mortgage, the house would be paid off when the child starts college. Assuming you bought a house that would cash flow positive (the only investment home to buy), the tenants would have paid it off for you. Even more, in the last 3 years, the cash flow would be supercharged since the mortgage was paid off. However, let’s put the positive cash flow aside. Let’s assume that the extra cash each month was escrowed for anticipated maintenance, repairs and vacancy. In the out years with rent increases, I would think the cash flow would greatly exceed repairs and vacancy even on a 15 year loan but nonetheless, let’s take that off the table. So, in this example, at the end of 18 years, that $25,000 could be either $60,000 (stock market) or $142,800 (real estate). I’ll take the $142,800. Yes, I know, taxes come into play but I have no idea what the tax policy on investments will be next year let alone 18 years from now. And, yes, selling a house costs significantly more than selling stock but no matter how you figure it, the house generates a significantly better return. Furthermore, if you do not want to sell the home, you can always do a cash out refinance to pay the tuition bill. Currently, that is not a a taxable event. One last strategy for older parents or grandparents: If you buy the home in self directed IRA, there would be no tax on the sale. If you are 59 1/2 or older when the tuition bill is due, you can withdraw money as needed and pay ordinary income tax on the withdrawn amount. Or if you set it up in a self directed Roth IRA, the whole thing is tax free for those over 59 1/2 at the time of withdraw. No tax on the sale. And no ordinary income taxes on the withdraw. Of course check with a tax planner and know 18 years from now the rules could change. Bottom line, the leverage available in real estate is a very powerful tool. I can’t think of a better way to prepare for future college expenses.